It’s finally the real Christmas time. People are dragging out their lights, wrapping paper and little Nativity scenes. But the big star of Christmas decorations are the trees, and with that comes the big debate: should we buy artificial or real trees? Picture this: three feet of snow has freshly fallen over Thanksgiving break. You finally have settled into your newly stretched jeans from your holiday meals and your mom now wants you to get out of the warm house and go tree shopping. It’s a fun tradition, it’s a great bonding time and it’s a cute picture for social media. So you put on your boots and like nine layers of clothes and struggle out the door to the tree farm to spend three straight hours in the cold to pick out one tree that probably has millions of little bugs in it that will only last you around a month and a half. Now picture this: you’re in your PJs, listening to Christmas music, in a warm home putting together your Christmas tree that has no bugs, no shedding needles and won’t catch your house on fire if you don’t water it. Fake trees are easier, more efficient and just a better way to go in general when decorating for Christmas. They last for around 10 years and come in so many different varieties. You can have a classic green tree, a fancy silver one or even a bright pink tree to spice up your decorating game. In comparison, a natural tree can only be dark green and is only dark green for a short amount of time. A survey by the National Christmas Tree Association in 2011 found that 12.9 million artificial trees were bought during the holiday season and 21.6 million real trees were bought. However, the survey also found that 11 percent of U.S. homes who had real trees also used fake trees, because one tree really isn’t enough. If you use both, why not just switch over to a more practical option of an artificial tree. Sure, someone could argue about the amazing tradition that a real tree holds when it comes to the holidays, but I would counter with this: why can’t a fake tree hold tradition too? A fake tree can be kept for so many more years than a real tree. Personally, our fake tree was my grandparents’ before it was my family’s. It’s literally a Christmas heirloom, and if that isn’t tradition, I’m not sure what is. If convenience isn’t enough to persuade you, we can talk about safety. Between 2012 and 2016, fire departments responded to an average of 170 home fires caused by Christmas trees per year. These fires caused an average of four deaths, 15 injuries and $12 million in direct property damage annually. A real Christmas tree must be watered often and kept hydrated or it could burst into flames with the smallest spark. It’s a ticking time bomb, not only for your family but for your pets, which are your family. Christmas trees are considered to be mildly toxic to cats and dogs. The fir tree oils can be irritating to the mouth and stomach of your pet and can cause excessive drooling or vomiting. The tree needles are not easily digested either–possibly causing GI irritation, vomiting, gastrointestinal obstruction or puncture. 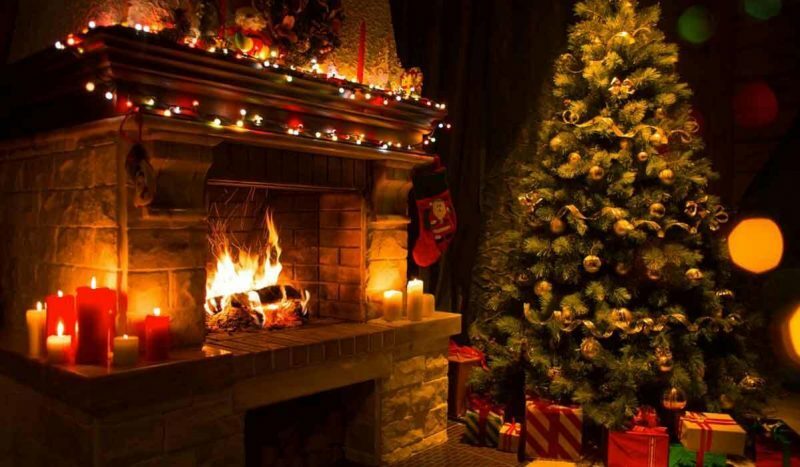 Buying artificial trees can help protect your family from fires, your animals from excessive vomiting and your feet from stepping on pokey pine needles. There are also ways to make a fake tree look like a real one. Stores now offer scented sticks that smell like Evergreens and fake trees that even feel almost like real ones. There’s really no reason to bundle up and go searching in a lot for the perfect tree. Instead, you should go to Target – buy a fake tree, fund the economy and sit in your home watching “Home Alone” and drinking hot chocolate. Admire a beautiful tree that won’t kill your pets or burn down your house. Which type of tree would you prefer to have? Photo courtesy of Better Homes and Gardens.